At M.S. 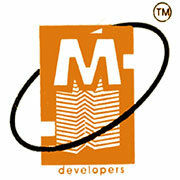 Developers all our endeavors revolve around just one entity you customer. For us you are not just a source of revenue-you are the ambassadors of our brand and the lifeblood of our company. We are understand that without you-our-customers, there would be no M.S. Developers. And so we work hard to go that extra mile, every time. For us customers focus is all about relationships. It is about understanding you, listening to you. It is about giving you what you need, when you need it, in-fact at times before you need it. It is your needs, ideas and demands that drive us and continue to remain at the center of our universe. In fact our relationship does not end with you when we shell you a home-indeed, it just continues forever’s.